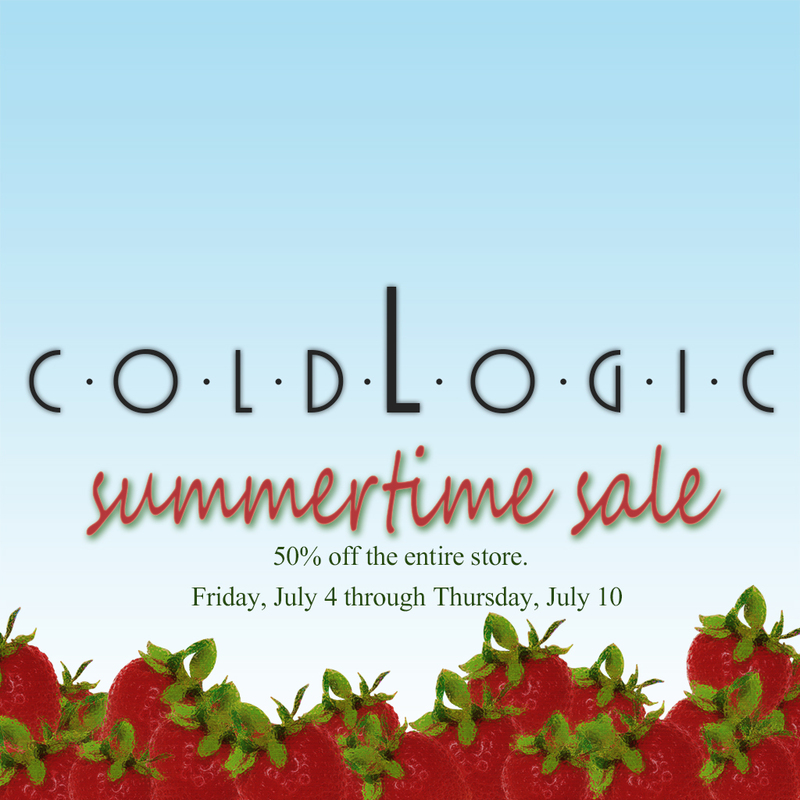 For those of you who choose to stay in and avoid the holiday traffic, coldLogic has decided to throw a summertime sale! 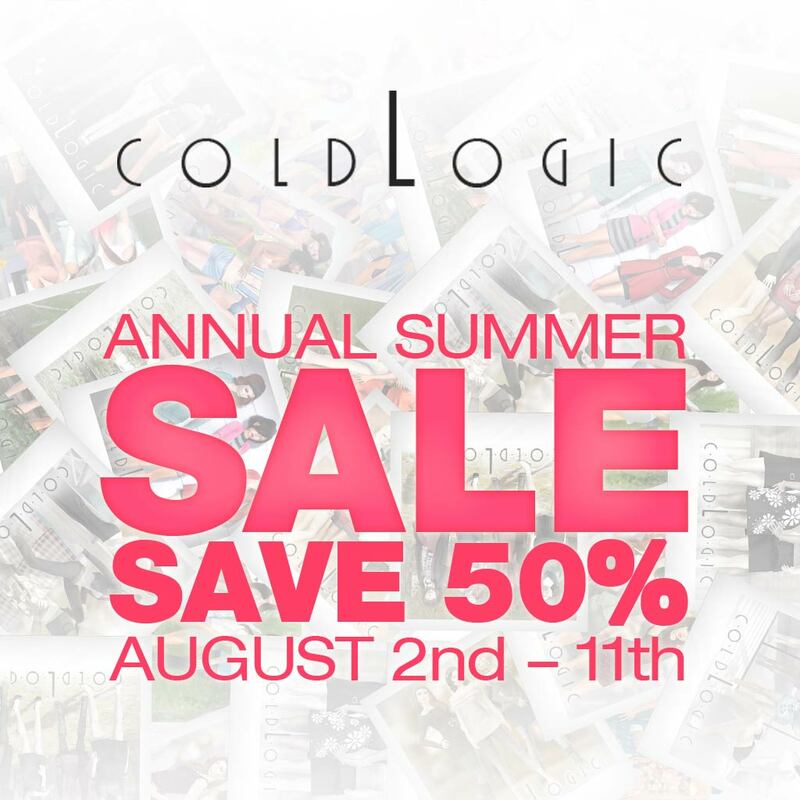 Half off the entire store from Friday, July 4, 2014 through Thursday, July 10, 2014. Hope you all have a safe and happy Fourth of July here in the US; and a most wonderful summer elsewhere in the world. It certainly does not feel like an entire year since coldLogic first opened our doors. What a year it has been! The team, Damien Fate, Janie Marlowe and Zyrra Falcone, could not be more grateful for the warm reception this brand has received. We hope very much to continue to bring you our very best work in mesh fashion. 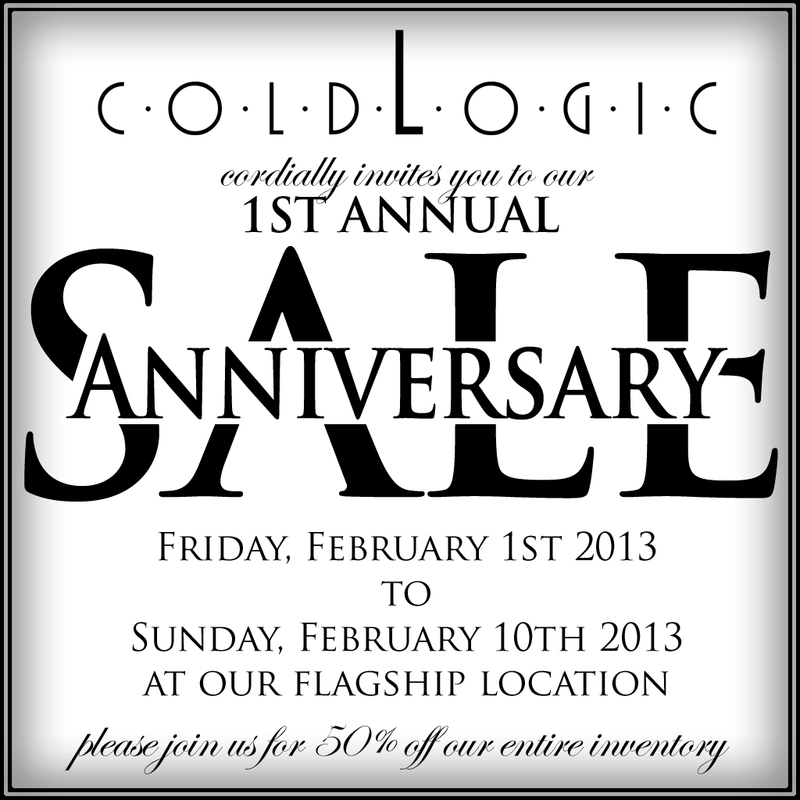 During the month of February, our anniversary month, the coldLogic team has a couple surprises for you. To kick it all off we invite you to our first annual anniversary sale. Our entire line has been price reduced by 50%. The sale will run February 1st through February 10th. Thank you so very much for this year and we hope to celebrate with you for years to come! We are pleased to be a part of the CHIC2 birthday event. Our “moody” dress is available in 3 colors, and will only be available at the CHIC2 location until June 24th. After the event closes it will be available in our store as well as on the marketplace. The coldLogic countdown has reached its final stage. 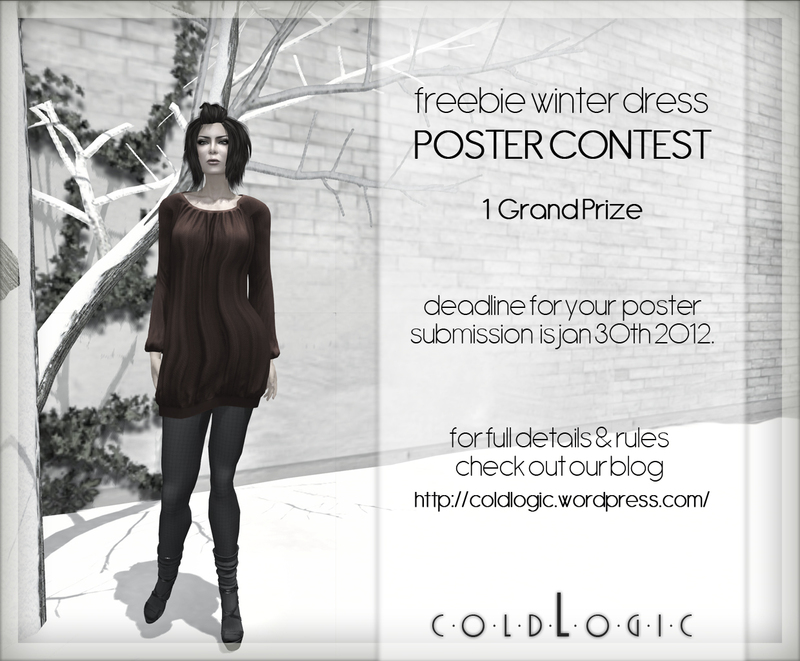 We plan to open February 1st and to celebrate, we would like to invite all of our early subscribers to take their freebie Winter Dress and help us launch our Flickr page! As an added incentive, we will give our favorite Flickr image our entire opening collection for FREE! If you haven’t already joined the subscribe-o-matic group for the free dress please feel free to join now – its not too late. Just get your Flickr image in by midnight January 30th and we will choose our winner shortly there after! – The photo(s) must show our Winter Dress, which is FREE when you join our subscribe-o-matic! – Your photo(s) must be posted in the coldLogic Flickr group by January 30th, 2012. Winners will be picked on the 31st.